If you remember, the international BlizzCon 2013 expo, navigated by Blizzard Entertainment, has been held this week-end. That’s why it’s not surprising that the latter one has shared mass of new information about its major franchises - Warcraft, StarCraft and Diablo. So today we are pleased to tell you the latest news about another one its project - World of Warcraft movie. The director Duncan Jones, the visual effects supervisor Bill Westen and a team from Blizzard have been told the first details about the film and its plot. 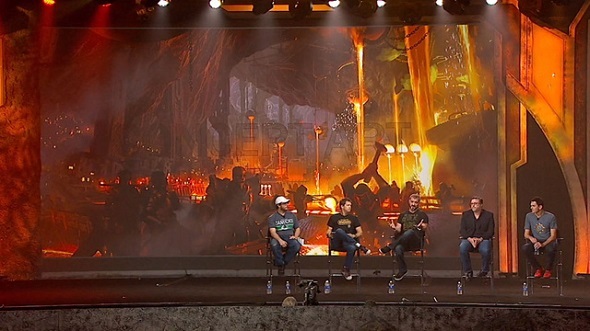 So, the first thing said by Duncan Jones concerns the film's plot, which was initially focused on the story of the relationship between humans and the Alliance, but in the course of work the director has decided that it is incredibly important to show that you can be a hero, regardless of the side you are on. Therefore, according to the new concept, World of Warcraft movie tells us the story of confrontation between Orcs and humans in the world of Azeroth. According to Jones, the Orcs will be played by real people in the film and not by CGI-models, and their swords (to provide even more realism), will be truly gigantic. As for the main characters, they will be Lothar and Durotan - the leaders of the humans and the Orcs, and the second one is the embodiment of the highest ideals of the Orcs, who is looking after the welfare of his nation and its future. 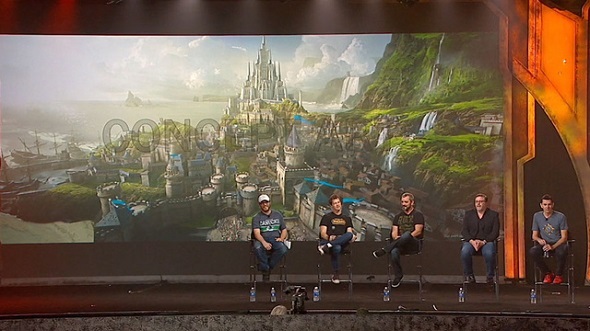 The creators of this masterwork have also showed the first concept arts of the locations - Draenor, Dalaran, Ironforge and Stormwind, on which the film's actions will take place and which you can see below. And the last but not the least interesting thing is the cast of World of Warcraft movie, among which, by the way, there are even female characters, is already assembled, but the names of those who have honored to participate in this masterpiece, as you know, haven’t been disclosed. The shooting of the films will begin in two months, and World of Warcraft movie itself, the previews of which is promised to be shown the next year, will be released in late 2015.